Whether you are looking for extra income when you are away or are a bonafide real estate investor, Airdxb will aim to maximize the rental returns for your property without any of the stress. Airdxb is a British run Airbnb management service and you will benefit from focused teams that cover all aspects of your home rental. Combining this with decades of real estate experience you can rest assured knowing your home is in safe hands. Airdxb is a complete service on hand for you and your guests. We cover everything from the photography and descriptions, pricing, guest communication including booking and security screening, and 5* cleaning after they have left in preparation for the next guests. We also offer other services like home furnishing to make the process easy and stress free. Short term letting gives you full flexibility on when you want to host. 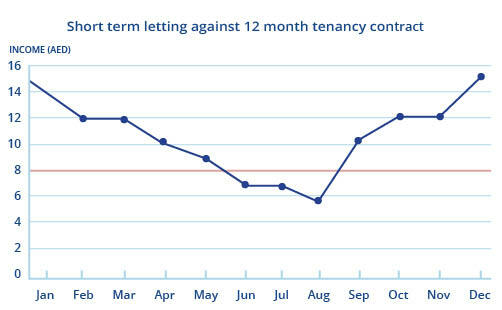 Whether you live in your home and want to earn some extra income while away, or a real estate investor wishing to see returns between 40% - 60% more than a 12 month long tenancy, short term letting is the answer for you. Airdxb is currently offering a reduced rate. + VAT to Airbnb host manage your property. Some short videos of our happy clients, along with team members giving you a broader idea of how Airdxb works. Providing the best service is key to achieving our goals. A happy host is our type of host. Don’t take our word for it, here is Ace telling you what he thinks…. Simply contact Airdxb confirming your interest and one of our property management specialists will contact you. They will ask you several questions to understand your wants and needs and then schedule an appointment to meet you at the property where they will be able to assist with any further questions and start the process. If your property is unfurnished don’t worry, we have a team that can do this to fit your budget. The Airdxb booking and marketing team will advise on how to present your home and will then photograph, make an inventory list and write descriptions to ensure your home is presented in the best possible way to guests. It will then be placed on the Airbnb Dubai website with all enquiries and bookings dealt with in a speedy and efficient manner with security screenings of all guests upon booking. Guests are always welcomed to the property with a personal introduction and tour of the home with the passing of keys and signing of the inventory list. Their stay is treated with the highest level of customer care to ensure your home receives a 5* rating. On the day of their departure one of our team members shall meet them to conduct the check out process which includes inspecting the home and taking the keys. Knowing your home is in safe hands, you can now relax. 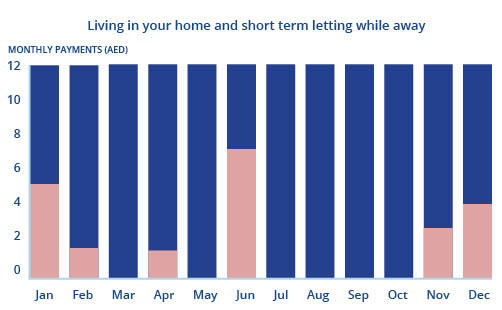 As part of our service the Airdxb management and host services team will register your home with the ‘Department of Tourism and Commerce Marketing’ (DTCM) on your behalf and will keep you updated on all progress throughout the rental procedure, after all it is your home and a happy host is our type of host. As a benefit, you will receive your funds directly from Airbnb themselves. That’s right, we do not hold the rental income, it’s yours and we want you to receive it swiftly . Whether you are looking for extra income when you are away or are a bonafide real estate investor, Airdxb will aim to maximize the rental returns for your property without any of the stress. Airdxb is not affiliated or endorsed by Airbnb or its affiliates, in any way. We provide stress free hosting services for short let platforms.